The Earth. Christianity. They go together. Bishop, R.C., Funck, L.L., Lewis, R.J., Moshier, S.O., and Walton, J.H, 2018, Understanding Scientific Theories of Origins: Cosmology, Geology, and Biology in Christian Perspective, Downers Grove: IVP Academic, 659 p.
Understanding Scientific Theories of Origins is authored by five professors from Wheaton College. Wheaton is an Evangelical institution with rigorous admissions standards, and therefore has a smarter-than-usual student body. These professors have been jointly teaching a class on origins (SCI 311) at Wheaton for a number of years, giving students an overview of both biblical and scientific aspects of origins. Getting Started on the Journey – Four chapters on biblical interpretation and the interaction between science and Christian faith. These chapters lay a foundation for the rest of the book, and introduce themes which permeate many of the scientific concepts that follow, such as the functional integrity and ministerial action of the creation. Cosmic Origins – Six chapters covering Genesis 1, the big bang model and fine tuning in the universe. The unit ends with a chapter on “Biblical and Theological Perspectives on the Origins of the Universe” (units 3–6 end with a similar chapter). Origin and Geologic History of Earth – Eight chapters covering the origin of the solar system, catastrophism and uniformitarianism; the interpretation of the flood account in Genesis, geologic time, and Earth history. Origin of Life on Earth – Five chapters covering abiogenesis (the origin of life), as well as theological perspectives on the topic. Origin of Species and the Diversity of Life – Five chapters on biological evolution. Human Origins – Four chapters on biblical and evolutionary perspectives on the origin of humanity. 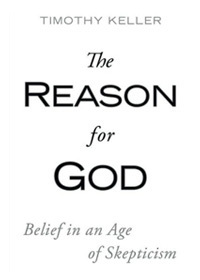 This book is not written as an unbiased overview of all the Christian perspectives on origins. In other words, it is not like the Four Views on ________ books (some of which are excellent) that are already available at Christian bookstores. Instead, the book is written from a perspective that accepts big-bang cosmology, standard old-Earth geology, and biological evolution as scientifically-valid ways of understanding God’s creation. In terms of biblical interpretation, the book is written from a perspective that views the Bible as the inspired and authoritative Word of God, but which also places a strong interpretive emphasis on the worldviews present in the ancient world. If you have read any of John Walton’s Lost World books (Such as The Lost World of Genesis One), you will have an idea what to expect in the sections on biblical interpretation (though written more for a general audience than the Lost World books). 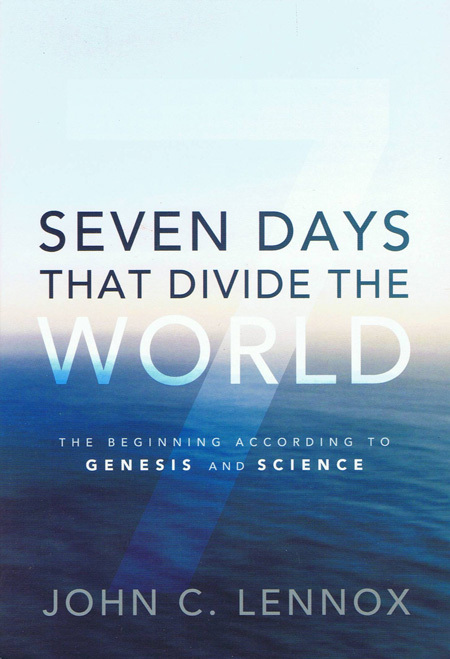 The authors, therefore, fall within the broad credal orthodoxy of “In the beginning God created the heavens and the earth.” The authors accept Adam and Eve as historical persons, as well as Noah’s flood as a historical event, but interprets these less literally than either young-Earth creationists, or old-Earth creationists such as Hugh Ross. The chapters which examine what the Bible says about origins topics (e.g. Chapter 13, The Genesis Flood, and Chapter 29, Human Origins: Genesis 2–3) are excellent. In fact, the examination of why Noah’s flood does not, according to Genesis 6–9, have to be what we would picture as a global deluge, is one of the best I have read. This book will provide its readers with a solid foundation not only for understanding the biblical and theological side of origins topics, but will give them greater confidence in the Bible as the inerrant and authoritative Word of God. In this unit, Understanding Scientific Theories of Origins does not cover the same breadth of material as a complete introductory textbook on physical or historical geology would, but what it does cover, it covers in some depth. For instance, Chapter 15 not only discusses radiometric dating in a general way, but introduces more advanced topics such as concordia and isochron dating that are not found in most introductory geology textbooks. Knowledge of these techniques provides readers with greater confidence that radiometric dating works, and usually works well. Educators in Christian schools. 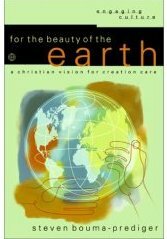 This book would be a great teacher’s supplement to my Earth Science: God’s World, Our Home. I thank IVP Academic for giving me a review copy of this book. The web site for the young-Earth documentary Is Genesis History? has posted a video following three young-Earth creationist (YEC) students from Wheaton College as they tour the Ark Encounter replica of Noah’s Ark in Kentucky (see How did Theistic Evolution Bring 3 Wheaton College Students to the Ark?). These students had formed a YEC group on the Wheaton campus, and were concerned about the widespread teaching of old-Earth creationism and theistic evolution by professors at the college. I was once very much like these three students touring the Ark Encounter. For my first couple years as a geology undergraduate student at Montana State University, I fervently (though mostly privately) held to young-Earth creationism, and was even a student member of the Creation Research Society. I was eager to get my Master’s degree in geology so that I could be a full member of the CRS. I would read the CRS Quarterly, which back then was the premier YEC scientific journal, though at times I would roll my eyes at some of the things that were printed in its pages. But I was confident that, with time, the many problems with YEC geology would be solved, and even dreamed that I would be the one to solve them. 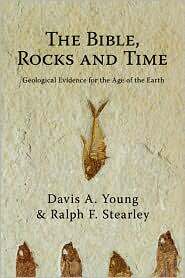 The more I learned about geology, however, the more I became aware of the serious deficiencies of YEC flood geology and age-of-the-Earth arguments. I was encouraged, however, that there were several articles in the CRSQ which pointed out some of the same “problems to be solved” that I saw. Little did I know that the author of these articles, Glenn Morton, would soon have a deep crisis of faith because of what he perceived to be serious flaws in YEC geological science. Glenn did go through some dark years in his faith after this, and was on the verge of becoming an atheist, but eventually did not fall away from the faith. Many others in his shoes have not been so fortunate. I also experienced the grace of God, and did not question my faith as I increasingly saw problems with YEC geology. My faith was getting deeper roots in things like the resurrection of Christ. I am thankful that in about my Junior year of college, I came across several books by Christian authors, such as Francis Schaeffer and Pattle Pun, that questioned the YEC paradigm and provided alternative interpretations of Genesis. These authors held to biblical inerrancy, and did not question YEC just for scientific reasons, but for biblical and theological reasons. I’m sure these three students love Jesus, and they would not be at Wheaton if they were not brilliant. This article from Is Genesis History? tells of a cordial meeting of the young-Earth students with old-Earth professors, and mentions that “Most of the students did not have the critical knowledge to dig deep into the subjects.” This certainly cuts both ways. In the eyes of Is Genesis History? these students didn’t know what questions to ask their old-Earth professors. Unfortunately, it seems these students may not know what critical questions to ask of young-Earth creationism either. What is the genre of Genesis 1? In the writings of Steven Boyd, interviewed in Is Genesis History? the options are often given as “poetry” and “historical narrative.” Those are not the only options. Genesis 1 is certainly not poetry in the sense that Psalms, Proverbs, or much of the Prophets are poetry, but it is also not written like standard Hebrew historical narrative passages either. If we get the genre of a passage wrong–and “historical narrative” is probably not correct–then our interpretation of a passage will likely be wrong as well. The movie shows horse kinds, giraffe kinds, and mentions dinosaur kinds (which was probably a slip even by YEC definitions of kinds). What does Genesis 1 mean by “kind?” What does it mean for organisms to reproduce “after their kinds?” Does any of what Genesis says about kinds place a limit on variation over time within populations of organisms? One of the students mentioned death before the fall. Does the Bible teach that animals were created to be mortal? Does it teach that animal death is the result of Adam’s sin. The answer to these questions is that the Bible is silent on these topics. What is meant by “good” in Genesis 1? Does it mean perfect in every way, as YECs claim? Or does it have another meaning, such as fulfilling God’s good purposes? I really liked these students. They were smart, articulate, and love Jesus. My hope and prayer is that these three students would remain strong in their faith, whether they remain as YECs, or someday adopt a different interpretation of Genesis. I do appreciate their attitude towards their old-Earth professors and fellow students, recognizing that the age of the Earth is not a salvation issue. My concern is that YEC materials such as Is Genesis History? contain a great amount of really bad science that eventually backfires and destroys the faith of many. Will these three students be able to stand firm in their faith in Christ once they realize that Mt. St. Helens is not a good model for most of what we see in the rock record, that the layers of the Grand Canyon and other places contain many features that cannot be explained by catastrophism, or that the model of post-flood hyper-evolution presented at Ark Encounter cannot explain the present diversity and distribution of life on Earth? Once again, bad science (based on debatable interpretations of the Bible) is bad apologetics that drives people away from the gospel. My ignorance will always exceed my knowledge. This is true even in subjects in which I have a considerable level of expertise. I have been studying various science-faith topics for more than three decades, and have substantial depth of knowledge in some areas. Over the years, I have focused most intensely on the relationship between geology and Christianity (including the arguments of the young-Earth creationists), somewhat on the topics of biological evolution and environmental ethics, and hardly at all on some other important science-faith issues. I would not, for instance, be able to write authoritatively about how cognitive science, string theory, or recent advances in human genetics relate to Christian apologetics. I have a few hundred books in my personal library, but don’t have a collection—and am not sure I would even want one—that covers all of the issues that are raised in the dialog between Christianity and Science. As a science writer and science apologist, however, I need to at least be conversant in a range of topics outside of my core areas. 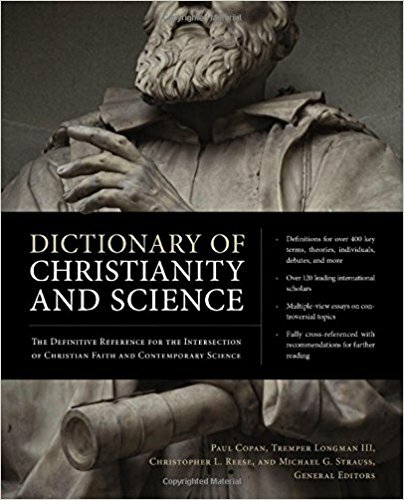 A new, useful resource is Dictionary of Christianity and Science, published by Zondervan. This 691-page volume has over 400 articles of various lengths, written by over 100 contributors. Some controversial topics are covered by only one article. When the subject relates to the age of the Earth or universe, these single articles are written from an old-Earth perspective. Examples include the articles on dinosaurs (Stephen Moshier), the Cambrian explosion (Darrel Falk), the big bang (Hugh Ross), and radiometric dating (Ken Wolgemuth). This approach is consistent with the fact that most leading Christian apologists do not use young-Earth arguments in defense of the faith. Articles written about controversial Christian individuals or organizations are generally written by a “friendly” author, such as the articles on Answers in Genesis and Ken Ham written by Marcus Ross, himself a young-Earth creationist, and the article on The Biologos Foundation penned by Deborah Haarsma, who is the president of Biologos. I will never be an expert on string theory, the Chinese room argument, or Bayes’ theorem, but as one who writes about science and Christian faith, I should at least know the basics on a breadth of issues. I recommend Dictionary of Christianity and Science for students who are new to the controversies that surround the relationship between Christian faith and science, as well as to science-faith veterans who need to keep abreast on a wide range of science-faith topics. I would like to thank Zondervan for providing me with a preprint of the first 130 pages, and then a complimentary copy of the complete book. Dictionary of Christianity and Science will be available for sale on April 25th. Justin Taylor is senior vice president of Crossway Books, a theologically conservative Christian publishing company. 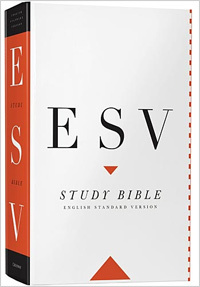 Crossway is best known as the publisher of the English Standard Version (ESV) Bible, along with the ESV Study Bible, perhaps the most comprehensive theologically conservative study Bible ever produced for a general Christian audience. Contrary to what is often implied or claimed by young-earth creationists, the Bible nowhere directly teaches the age of the earth. I want to suggest there are some good, textual reasons—in the creation account itself—for questioning the exegesis that insists on the days as strict 24 hour periods. Am I as certain of this as I am of the resurrection of Christ? Definitely not. But in some segments of the church, I fear that we’ve built an exegetical “fence around the Torah,” fearful that if we question any aspect of young-earth dogmatics we have opened the gate to liberalism. God is portrayed as a workman going through his workweek, working during the day and resting for the night. Then on his Sabbath, he enjoys a full and refreshing rest. Our days are like God’s workdays, but not identical to them. How long were God’s workdays? The Bible doesn’t say. But I see no reason to insist that they were only 24 hours long. How old is the Earth? The Bible does not say, so Christians should not dogmatically insist that it is only 6000 years old. An important conclusion is that the age of the Earth should not act as a stumbling block to someone who is considering whether or not Christianity is true. To be “theologically conservative” means that one holds to the inerrancy of the Holy Bible, and the core historical teachings of Christianity, as summarized by the ancient creeds of the church, such as the Trinity, deity of Christ, virgin birth, crucifixion of Christ, his resurrection and ascension, and the necessity of spiritual rebirth through Christ. The opposite of theologically conservative is theologically liberal. Liberals usually start by denying the reliability and authority of the Bible, and end up denying many of the core doctrines of Christianity. Each author’s chapter includes responses from the four other authors. 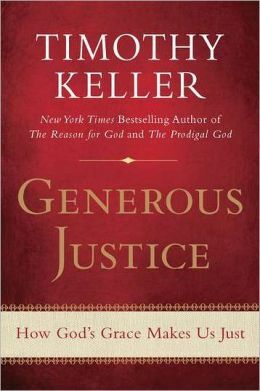 In the Forward, the editor states that one of the convictions behind this book is that “conversation–indeed, even heated debate regarding contentious issues–can proceed in a charitable manner.” That is what I strive for in my writing on The GeoChristian, and I appreciate their objective. 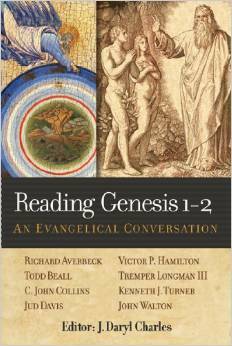 In the Introduction, Victor, P. Hamilton begins by reminding us that “without Gen 1-2 the rest of the Bible becomes incomprehensible.” This is something that all contributors to this book, whether young-Earth or old-Earth, evolution-accepting or evolution-denying, would agree on. The opening chapters of Genesis lay foundations for a number of critical doctrines in the Bible, including humans created in the image of God, humanity’s fall into sin, and the beginning of the long story of redemption in Christ. 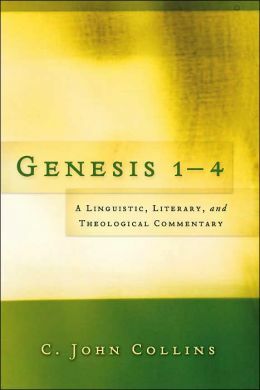 The Introduction also points out that the interpretation of Genesis 1-2 has been controversial throughout church history, with quotes from Origen and Augustine to back this up. He then points out some particularly important modern debates, such as the historicity of Adam and Eve, and the relationship of the Biblical creation accounts to other Ancient Near Eastern creation accounts. It is important to be reminded that all of these authors “identify fully and unapologetically with historic Christian orthodoxy and embrace wholeheartedly the basic tenets and historic creeds of the one holy catholic church.” Faithfulness to God’s Word does not require that one interpret Genesis just like only one of these authors. Pre-conceived conclusions — Like the essays I already agree with, and ignore the rest. I look forward to learning from each author, and sharing with you my thoughts as I read through this important work. 6. There is no radiocarbon in old samples, despite claims to the contrary. Geologically old samples of coal, diamonds, and graphite, for example, yield finite radiocarbon ages that are consistent with the expected level of contamination invariably introduced during sample collection and preparation. 15. Quaternary deposits and landscapes are far too complicated to have accumulated in the ~4,500 years following the Flood. Everywhere we look on Earth, we truly find evidence for ~2 million years worth of processes, whether at high latitudes (where we find evidence for repeated glaciations and deglaciations, separated by warm intervals) or in the tropics (where we find thick desert dune sequences alternating with humid intervals) or in the oceans (where 2 million+ years of Milankovitch cycles are recorded in only a few meters of silt and clay) or in the high mountains (where alpine valleys have been carved out by rivers or glaciers, then infilled by coarse sediment, then eroded again, etc.). Flood geologists unanimously assert that the Quaternary period represents the ‘post-Flood’ era, but there is good reasons that conventional geologists ascribe a much longer age: 2.6 million years. 26. Volcanic ash beds (sedimentary tuff), frequently used to date sedimentary rock layers, were mainly deposited in dry conditions. Geologists can distinguish between ash layers that settled in ocean basins (marine tephra) and those that fell over dry land (air fall deposits). When volcanic ash is deposited in flowing water, it produces yet different features identifiable in outcrops, such as grain sorting and lamination. Therefore, not a few volcanic ashes in sedimentary strata contradict the Flood geology scenario, especially because these ash falls take time to accumulate from the air and harden to the point that water-lain sediments can be deposited on top without compromising the structure of the soft ash. 27. The geologic column is no remnant of an ancient flood deposit, global or not. Fine details, in the form of thin layers of alternating clay and limestone, or irregular sand deposits that resemble modern river channels, defy catastrophic explanation, which explains why catastrophism has long been abandoned by research geologists. 29. The distribution of sedimentary rocks is weighted to heavily over the continents, which is the opposite of what we’d expect in a global flood. Floods move sediments from high elevation to low elevation, depositing them in sedimentary basins. During the Flood, the oceans would have constituted the largest and deepest basins, but most sediments remained on elevated continents. How did this happen? Did the laws of physics stop working? Note that I picked my top five from the first 29; there were just so many good old-Earth evidences to choose from. 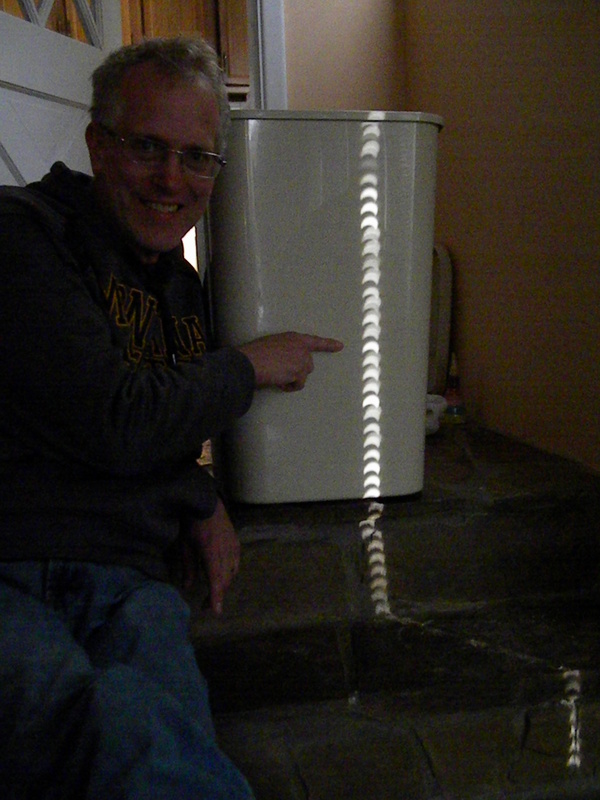 I could have selected all 100 reasons from the list of 100 reasons! An equally important list would be top reasons why the Bible does not require anything like young-Earth creationism. A few of Jonathan Baker’s thoughts on the Bible and science can be found on his Theology/Scripture tab. I said “One of the best blogs” because it is hard to choose between Age of Rocks and Naturalis Historia. Both have been producing top-notch articles. #26 was near and dear to my heart, as my Master’s degree research involved a study of Quaternary volcanic ash deposits in eastern Washington. Old-Earth Classical Christian Middle School Earth Science Textbook — Novare Science and Math, a relatively new Christian curriculum publisher, has announced that they will publish an old-Earth middle school Earth science textbook in time for the 2015-2016 school year. Does anyone want to guess who is writing that much-needed textbook? Ken Ham Rejects Entering Into “Gracious Dialog” With Old-Earthers — Ken Ham, president of Answers in Genesis and the world’s foremost promoter of young-Earth creationism, has turned down a dinner invitation from the president of BioLogos, the world’s foremost promoter of evolutionary creation (i.e., theistic evolution). Part 2 — The rejection — Should I Have Dinner With BioLogos? — Ken Ham compared himself to Ezekiel, warning the people of God against compromise, and Nehemiah, who refused to be distracted by the enemies of God’s people, though he added that he doesn’t consider Hugh Ross to be a personal enemy, only an enemy biblical authority. Ken Ham later wrote that Answers in Genesis “will not, however, send out such a kumbaya message,” by fellowshipping with compromisers. Part 3 — Hugh Ross responds — Ambassadors for Reconciliation — Hugh Ross is a gracious man, but is obviously disturbed by the discord sewn by those who villainize old-Earth Christians. It seems strange that someone like Ken Ham can interact graciously with Christians who disagree with him on issues such as eschatology, predestination, baptism, or spiritual gifts without condemning those who disagree with him as “compromisers,” and yet when it comes to a secondary issue such as the age of the Earth (which is an issue of interpretation, not biblical authority), he cannot even have dinner with those who differ from him. I must add that my limited personal interaction with Ken Ham has been cordial: Do Old Earthers and Young Earthers Agree On Anything?